The basics of Forex trading is different than other markets and Forex trading takes place through major banks, brokerage houses, market makers, and dealers around the globe. These entities together create a marketplace where you can trade currencies around the clock. Trading is always available for you the Forex trader just like a 24/7 grocery or convenience store you can pick the time to trade that suits you. The Forex market is the largest financial network in the world and trades more than any other market; the Forex market trades almost 4 trillion dollars Every day. Trading currencies involves trading in pairs so you would take the long side of one currency and the short side of the other currency. Here is an example of what I mean; if you traded the EUR/USD pair and you bought it meaning you are long the EUR at the same time you would be short the USD. This is how it works with every pair. Lets say you wanted to short it or sell it then you would be short the EUR and long the USD by selling short the pair. All Forex pairs are described like this: EUR/USD, GBP/USD, USD/CHF, AUD/USD, USD/JPY, and USD/CAD. That is the Euro against the US dollar, the British Pound against the US dollar, the US dollar against the Swiss Franc, the US dollar against the Japanese Yen, and the US dollar against the Canadian dollar. The “base” currency as it is called is the first one in the pair. The “counter” currency in the pair is the second one. The way the price is expressed is always done in the counter currency, so for example if you had the EUR/USD pair and the price quoted was 1.4567 then 1 Euro (base) would be worth $ 1.4567 US dollars (counter). The major pairs trade to four decimal points but the Japanese Yen is the exception and only trades to 2 decimal places the reason for this is that there is generally over 100 Japanese Yen to the US dollar. So for example if the base currency is the USD and the counter currency is the Japanese Yen and the current price is 106.30 then 1 US dollar would equal 106.30 Japanese Yen. What about PIP what does that mean? Well a PIP is the minimum amount a currency pair moves so if the EUR/USD pair trades from 1.4567 to 1.4568 it will have moved one PIP. Much like stocks Forex pairs are quoted on the bid ask method, the bid is what someone is willing to pay and the ask price is what someone is willing to sell at. Spread is the difference between the bid price and the ask price. The bid price is always first and the ask price is always quoted second so EUR/USD pair bid at 1.4567 – 1.4569 ask would mean the spread is the difference or 2 PIPS. When you purchase stock you typically have a commission to pay and the spread of the stock but in Forex Trading the market makers, dealers etc are paid in the spread only. The spread will be different for each pair and wider or narrower at different times. Spread will fluctuate for different reasons like current market conditions the broker and or market maker you use. Some brokers charge different spreads. Some currencies have more of a spread because of thinly traded pairs. Meaning they are not traded often so the broker dealer will widen the spread. 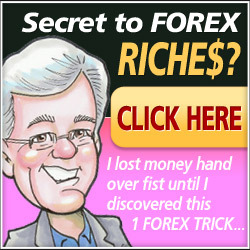 Forex is traded in lots like 1,000 for one lot on a micro lot trading system. Or 10,000 lot on a mini lot trading system. Just like micro lots and mini lots the standard lot size will trade in the 100,000 size. Here is an example of obtaining a lot in the standard size. If you purchase the EUR/USD pair and the quote is 1.4567 – 1.4569 then it would mean you are buying 100,000 Euros and selling short 145,690 US dollars.